I recently got rid of my old ice cream maker. It was electric but it still required filling (and re-filling) with ice and salt, which does not seem like that big of a deal but it proved to be a barrier to wanting to make ice cream, so it came out of its box about once per year. Instead I got the KitchenAid Ice Cream Maker Attachment for my stand mixer. It has a bowl you keep in the freezer for about 15 hours and then you just add your ice cream mixture and 20 minutes later you have ice cream. Setup and cleanup are about 20 minutes total and as a result, I have been making ice cream about every other week. Good for tasty treats, bad for my recent attempts to lose my girlish figure. Since it is now easy to make ice cream, I started to experiment. 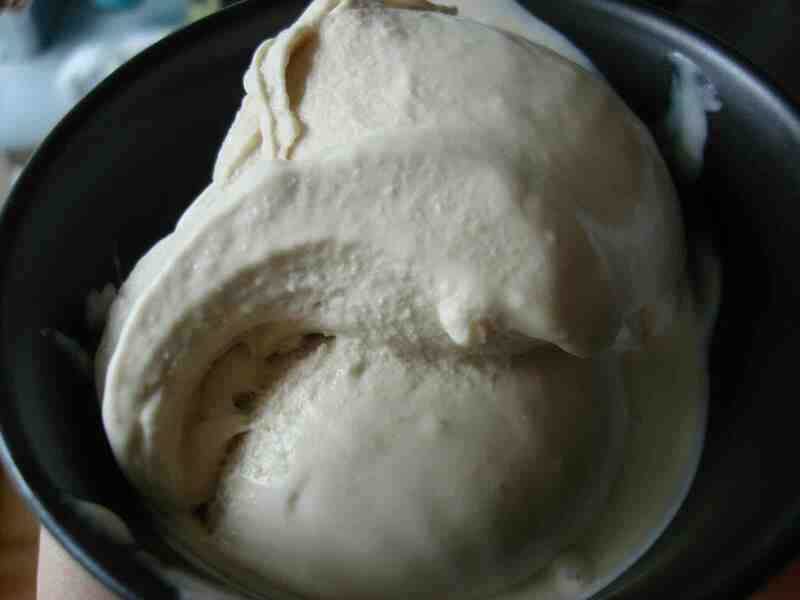 The first success is my “Simple Chai Tea Gelato Recipe” which would probably be best with Indian food but it isn’t too sweet and has a light enough flavor to be pretty versatile. Heat the milk until it is just about to boil, stirring frequently. Slightly reduce the heat, add the tea bags and continue stirring for 5 minutes. Turn off the heat and remove the tea bags, squeezing them to extract the remaining milk before discarding. Stir in the heavy whipping cream and chill in the refrigerator for a few hours until cold. When freezing the mixture (in an ice cream maker), it will not have as much of an increase in volume as a typical ice cream – this produces a denser consistency more like gelato. Immediately move the frozen mixture to the freezer for 3-4 hours to harden. This makes about 8 servings and if you are counting calories, it works out to 206 calories per serving.